Doing your homework is important before investing in a portable generator, says Kevin Ennis, General Manager of Sales at Redstar Equipment . Ensuring selection of the correct equipment to suit the application will have a positive impact on performance, reliability, serviceability and residual value of the asset. According to Kevin, selecting a portable generator is simple when the buyer has access to the right information. However, lack of information can lead to bad decisions, resulting in technical and maintenance issues caused by selecting the wrong portable generator. Portable generators are used in standby, prime fixed and prime mobile applications. Kevin explains that the user has access to mains power in a standby application and requires a generator purely as back-up in the event of a blackout. In this application, the generator will usually only run a handful of hours per year, if at all. A standby generator should be selected based on the quality of the brand, price, availability of parts and access to a local service agent. A prime fixed generator is used in applications where the generator is the primary source of power and will remain in one location for most of its life. In a prime application, a significant part of the cost of owning or renting a generator goes into fuel. The quality of the brand, size, fuel efficiency of the engine and access to parts and service are all critical factors for prime fixed generators. Kevin advises buyers to consult with a generator specialist to assist with the selection of a prime fixed generator. For instance, one can save some costs by selecting a machine with a cheaper frame or canopy because the machine will not be moved around. The third type, the prime mobile generator is used when the generator is the sole source of power but needs portability as it will be moved between sites on a regular basis. According to Kevin, prime mobile generators are commonly used by construction and rental companies; the buying decision should, therefore, consider the quality of the brand, size and fuel efficiency of the engine. Also, a robust build and canopy design are essential for the longevity of prime fixed mobile generators. 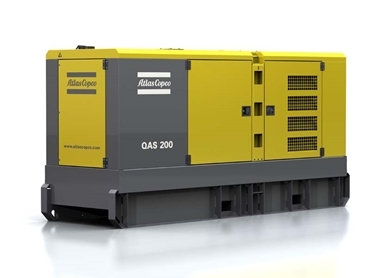 In addition to careful selection of equipment to suit the application requirement, access to quality technical support can significantly increase the lifespan of all portable generators.